Are you talking about 110lvl? today? At Legion? ........... They wrote about migration in any topic here at firestorm forum something about migration what I remember little bit. Yes all characters are copied until 15.3. 24:00 but they do migration from Sylvanas later , after they stabilize server . 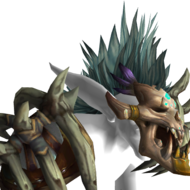 So you must wait to the moment when they open migration from Sylvanas again. But they wrote just one character only. And probably same as usual for real gold. [Search] [Request] BfA add-ons v.8.0.1. Just because Im really bored, I'll join you. Dont forget guys this isnt new server in its own . You must understand this is something just like expansion. Why boosts for new players? Why start from lvl 1? And just because this is free server and they (owners/management or how call these guys) cant instal it correctly , they release new server and trying keep clearest way to not broke economy from start. So enjoy free playing without monthly fees. pfffff I was snifing around and I found this link here at firestorm forum. 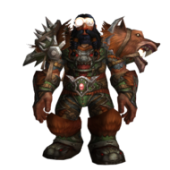 https://wow.curseforge.com/addons and I see in downloads all posible versions . I hope this help someone lost as I was. Hi guys. Please know you any good website with add-ons and with easy nob-proof navigation? I need just any for better map marking / action bars sorting and profesion sorting. Thx. Thanks buddy . Nice to read it. I thought they remove it and replace it with these statues(grey soulbound items) because these are not in official drop list. But wowhead is higher game version so these things can be just version database changes. Ok, last time thanks for your reply.